Fashion Jewelry has been around since the prehistoric ages, and although the materials and designs have changed since then, the use of fashion jewelry in everyday life has not. Men and women alike appreciate how jewelry not only adds to their wardrobes, but becomes a significant part of their relationships. While many people own and use fashion jewelry every single day, not many of them are aware of how to protect these precious items from harm, and often end up damaging them by accident. Women’s jewelry is often clad in diamonds and sensitive materials, which is why knowing how to preserve these pieces is going to be beneficial. Owning a beautiful piece of fashion jewelry is something that many women dream of, however, when they receive them, they often put them in situations where they can be nicked, broken, or lost. This is because they were never informed on how to properly preserve their exquisite pieces. Knowing how to maintain and care for a pair of diamond earrings, an engagement ring, or a diamond necklace is what is going to keep the diamonds shining to its fullest capacity. In order to make your jewelry last, here are some tips that will help you keep and store your favorite pieces, brought to you by the internationally recognized fine jewelry store, Glamira. While some pieces of fashion jewelry are damaged by moisture, others are damaged by dryness, which makes learning the background characteristics of jewelry an ordeal. Do you have any pearls or opals in your jewelry box? If so, avoid storing these in extremely dry places, and try wearing them on a weekly basis, as this will supply them with enough moisture to remain in top shape. Not going to be wearing these items for a while? Try storing them inside of a jewelry safe, as these have been known to lock in some humidity. Another faux-pas concerning jewelry is bringing it into the washroom. In many cases, people leave their diamond necklaces and rings by the sink, where they are susceptible to water and humidity. Material such as diamond, silver, and gold do not cope well with moisture, so leave them inside the bedroom before running a bath or jumping into the shower. People tend to take off their wedding bands and rings before washing their hands, and sometimes forget them in the washroom by mistake. When a washroom holds humidity, it can cause jewelry to tarnish, which is why finding an alternative placement for these pieces is of great importance. 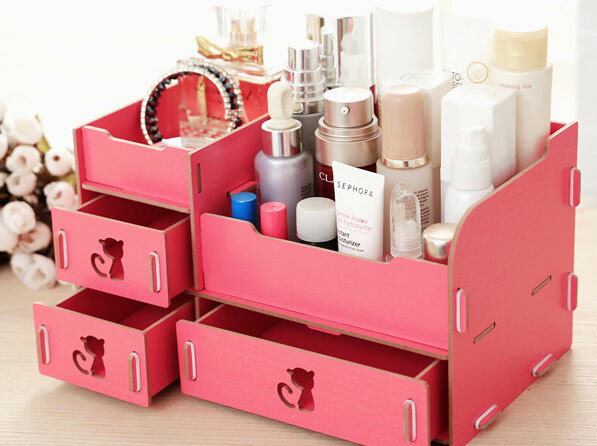 Cosmetics are a regular part of a woman’s daily habits. Yet unknown to her, the creams and perfumes that she uses have a negative effect on her jewelry. A good trick to remember is that fashion jewelry should be put on right before leaving the house, in order to allow cosmetics to set. Cosmetics such as creams and perfumes can find their way into the jewelry and subject it to too much humidity or alcohol properties, thus resulting in tarnishing. Although going to sleep wearing jewelry can seem harmless, it is actually a very common way that people damage their pieces. This is due to the fact that people tend to move in their sleep, resulting in their jewelry getting caught in the sheets, pulled and broken. In order to keep them in a great condition, take off any earrings, rings, necklaces, and bracelets before getting into bed at night. When storing fashion jewelry, there are a few tricks to keep in mind. These tricks are fairly simple and can have many positive effects on all types of items. To store jewelry properly, either keep it in a jewelry box, or keep it in a dark drawer away from humidity. However, if you have gemstones, keep them away from your diamond jewelry to prevent any scratches. Also, make sure that diamond necklaces are not being strained, as this could also cause them some harm in the long run. Another easy trick is to keep a small jewelry box inside of your purse at all times, just in case it starts raining and you need a quick and dry place to hide your jewelry without it getting tangled and damaged. By taking notice of any bad habits concerning jewelry, and weaning them out, the longevity of finely crafted jewelry will be prolonged for an extensive amount of time. Carefully handling these items and treating them like the gems they are, will keep diamonds shining, and stop any gold or silver chains from losing their original glamour and beauty. Fashion Jewelry can be expensive, but the signature pieces that we accumulate along the way are always worth it. Jewelry is often given as a gift or bought for ourselves, and keeping these pieces in their truest form is going to allow us to hold onto them forever. Thanks for sharing this informative blog. If you are looking for womens watches online take a look. Click designer womens watches for more awesome collection of watches. Good Information Buddy You have given for fashion Fashion is a popular style, particularly in, lifestyle products, footwear, clothing, hairstyle, accessories, makeup, and body. If you are looking for fashion jewellery online you should check out “Petas Jewellery”. 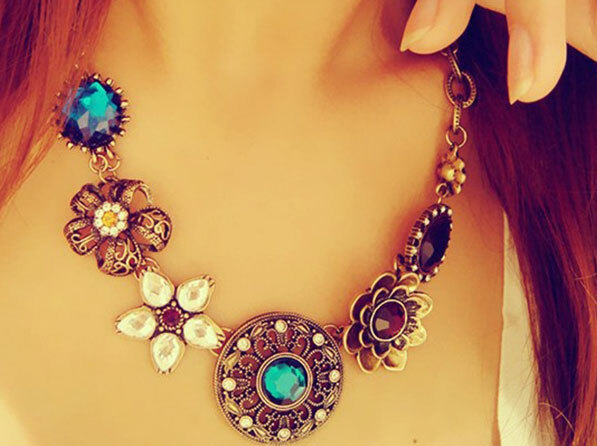 If you are looking for the popular jewelry trend 2019 for Stylish Looks. You can go for Evil Eye Jewellery; it is so much in trend. 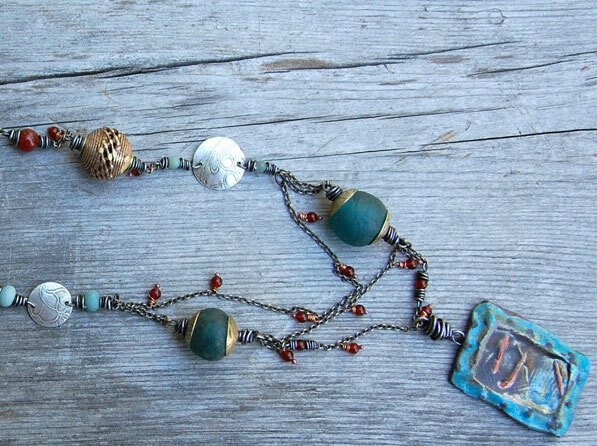 It is a belief that it brings good Fortune to its Wearer.